Originally published by the New York Times on 08/12/15. Within hours of his arrival in Jharia, a remote corner of India’s Jharkhand State, Souvid Datta’s eyes teared up and his lungs burned. Swirling clouds of coal dust and toxic fumes from dozens of fires ablaze in open seams made him dizzy. Jharia is in the main coal belt in the region that supplies the highest-quality coal fueling India’s rapid economic expansion. Mr. Datta had gone there with the journalist Melanie Cura Daball in advance of the current climate talks in Paris to photograph the effects of coal production on the people and countryside. The increasing dependence on coal for energy in India and other developing nations is at the heart of the continuing talks among the international community. Prime Minister Narendra Modi of India has said that climate change was not the fault of developing nations, but a result of “the prosperity and progress of an industrial age powered by fossil fuel.” While the United States and Europe, he said, had already reaped the rewards from that era’s industrial expansion, developing nations were now being asked to curtail their own attempts to boost their prosperity. India’s economy is growing rapidly, creating a burgeoning middle class and providing hope for lifting millions of people out of poverty. Although Mr. Modi has spoken of major investments in solar energy, India is the world’s third-largest producer of greenhouse gases: The air quality In Delhi and other Indian cities is worse than that of Beijing. 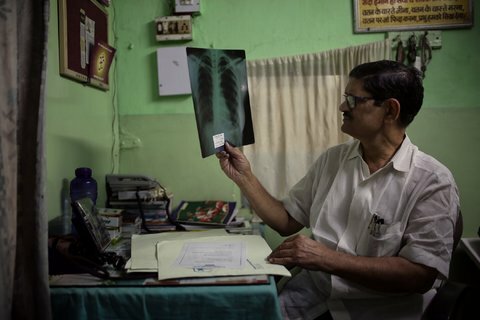 Mr. Datta found that despite severe health issues related to coal mining and the fires that spew toxic clouds laden with sulfur dioxide, carbon monoxide and mercury, there were few economic alternatives for those who relied on the mines to survive — either through mining or scavenging for coal. The Jharia mines were nationalized in 1973 and are now mostly operated by a state-run coal company. Today, the mining is done by the open-pit or strip-mining methods, which are more profitable but are highly destructive to trees, plants and topsoil. The fires have been burning mainly underground for a century, but are now more exposed because of increased open-pit excavation, Mr. Datta said. And little has been done about the fires as they come even closer to residential areas, he added. The government has built housing in an isolated area a few miles from the mines, but fewer than 4,000 families have moved in. 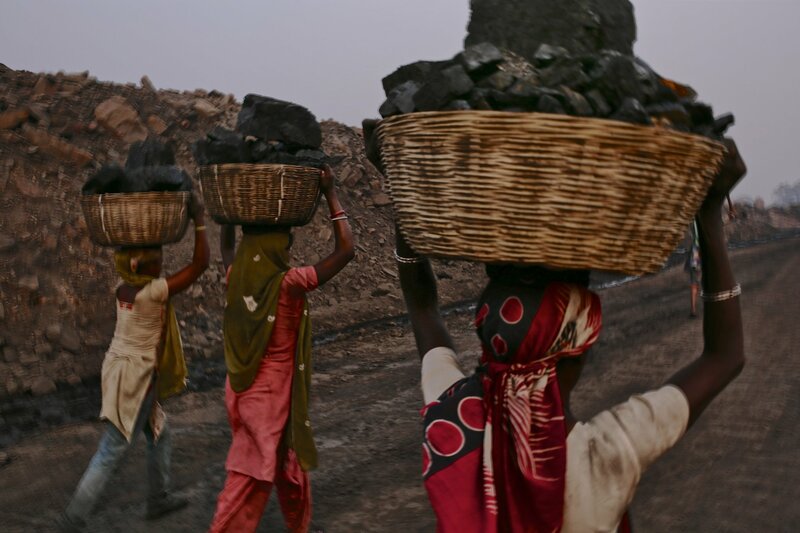 Also, because there are no jobs nearby, many people, including young children, walk back to Jharia before dawn to scavenge coal before the mines open for the day. 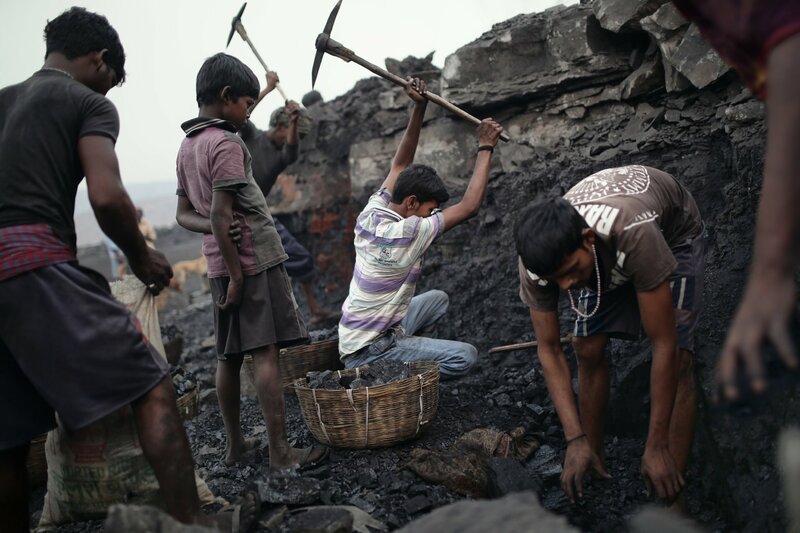 As families are forcibly removed from Jharia, the areas where they used to live are opened up for mining. Mr. Datta’s interest in environmental issues dates to his childhood, when a friend died from respiratory illness and lung cancer. Two years ago, Mr. Datta went to China and pursued several stories about the effects of pollution, but he found it difficult to work in a country where he didn’t speak the language and needed a fixer. He returned to India, where he was born, to tackle the same issues in a land he better understood.